Kansas City Federal Reserve Bank President Esther George on interest rates, inflation, the Economic Policy Symposium in Jackson Hole, Wyoming and plans to meet with protestors ahead of the conference. Another key member of the Federal Reserve is indicating to circle September on your calendar for an increase in interest rates. Kansas City Fed President Esther George told FOX Business Network Peter Barnes that if her outlook for the economy unfolds as she expects, then she’ll vote in September to raise rates. "As I look at the data and the economy and the progress that has been made, I judge that we are nearing full employment, inflation is low and stable and that we should take advantage of the opportunity to remove some of the accomodation" said George. "I think in the interest of long run sustainable growth, we should be raising rates gradually." George has been a proponent for higher rates, voting several times in the last year for an increase, including at this past July’s meeting. George spoke to FOX Business ahead of hosting the Kansas City Fed’s annual symposium in Jackson Hole, Wyoming. Fed Chair Janet Yellen will kick off events with the conference opening speech Friday morning. 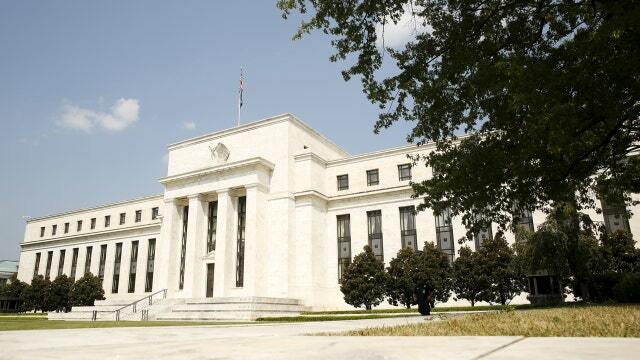 Investors will be listening carefully for hints on monetary policy ahead of the September meeting. Last week, New York Fed President William Dudley told FOX Business we could see an increase in rates as soon as September, depending on the economic data and signs of inflation. George would not speak for her Fed colleagues, but said they&apos;ll have more economic data by the meeting next month to make their own decison about rate hikes then. She sees inflation rising and worries that continued low rates could promote financial instability.